With the release of the new Spider-Man: Into the Spider-Verse film, our comic book thread regulars have helped put together a group of comics to check out to get to know the characters even more. There’s some great stuff in here and great write-ups, and with the new launch of Miles Morales: Spider-Man, and Ghost-Spider, now’s a great time to dive into comic books and the entire Spider-Man world. I am unreasonably excited for this movie. A new trailer for Spider-Man: Into the Spider-Verse has been released. The trailer for Spider-Man: Into the Spider-Verse has been released. The first trailer for the animated Spider-Man: Into the Spider-Verse movie has been released. As a huge fan of Miles Morales, I am very, very excited for this one. The trailer also features an unreleased Vince Staples song. Did you see Spider-Man: Homecoming this weekend? Are you looking for more and want to check out the spectacular world of comic books that inspired this friendly neighborhood web-slinger’s cinematic adventures? 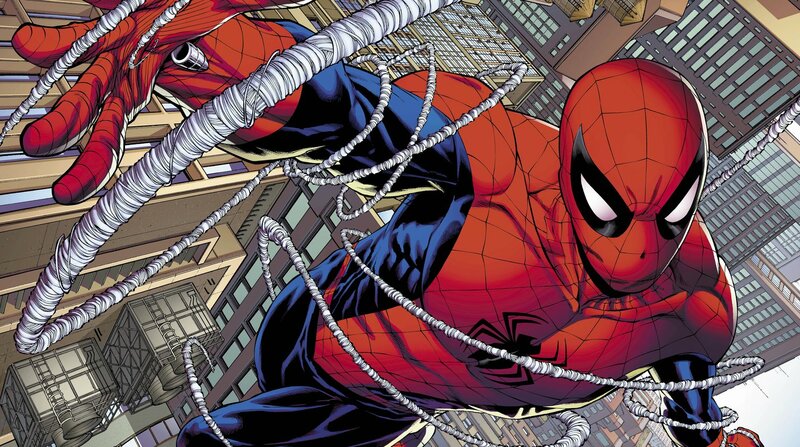 Members of our comic book thread have assembled some great recommendations perfect for anyone who wants to dive into the world of Spider-Man. If you’re looking for even more Spider-stuff, I recommend checking out the Spectacular Spider-Man cartoon, the Spider-Gwen series, and the entire run of Miles Morales: Spider-Man, all three are very good. The final trailer for Spider-Man: Homecoming has been released. Yours truly was on the most recent episode of the “Welcome to Geekdom” podcast talking all about Spider-Man (animated series, comic books, etc.). Here’s the Overcast link if that gets your Spidey-Sense tingling. Spider-Man: Homecoming has a new trailer. I’m in. Mile Morales has been confirmed for the upcoming animated Spider-Man movie written and produced by Chris Miller and Philip Lord. The trailer for Spider-Man: Homecoming has been released. Marvel have released a little 17-second teaser for the upcoming Spider-Man: Homecoming trailer. The full trailer will debut tomorrow. Variety is reporting that Michael Keaton is back in talks to join the Spider-Man: Homecoming cast as the villain. So, it’s gotta be Vulture right? Marvel have announced that the official title for the upcoming Spider-Man movie is Spider-Man: Homecoming. I’m pretending that logo isn’t real.